The Gippsland region of Victoria in Australia is our home. The Gippsland region stretches from just east of Melbourne to the New South Wales border. It is a huge region by any explanation. Gippsland consists of four sections East, West, South and Central Gippsland. Gippsland’s natural features are diverse. Rugged mountains to rolling plains, rainforests to deserted coastlines, alpine regions to thousand-year-old forests. As one can imagine across the region there are many great things to see and do. Here we touch on 18 things to do in Gippsland. 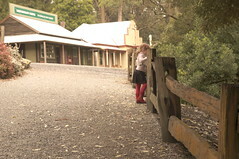 A reconstructed Colonial Era Gold Mining town set in the hills of Gippsland is Walhalla. Once one of the richest towns in Victoria, Walhalla is today known for its Gold Fields Railway and the Long Mine Tour. 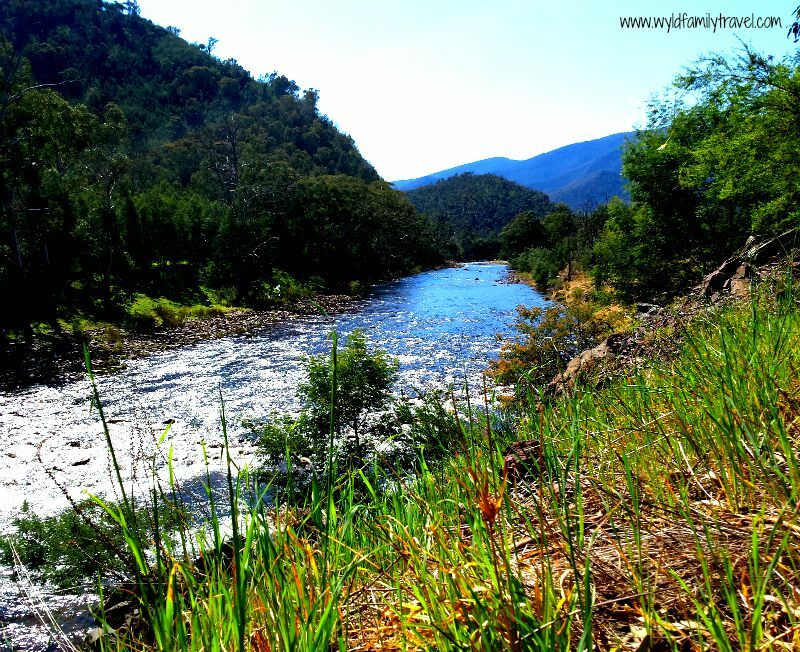 Walhalla is a great place for a picnic or a bbq day trip. It also has a unique cemetery! I know it sounds morbid but it is worth a visit to see just how hard colonial times could be on families. It is also located on the side of a hill! The shops appear today to look like a colonial town of the past. Guesthouses are available for overnight stays, weekend escapes and camping is free in areas. Family Travel Tip: There is an old fashion lolly shop at Walhalla. The shop sells the old fashioned boiled lollies like humbugs and rock candy. 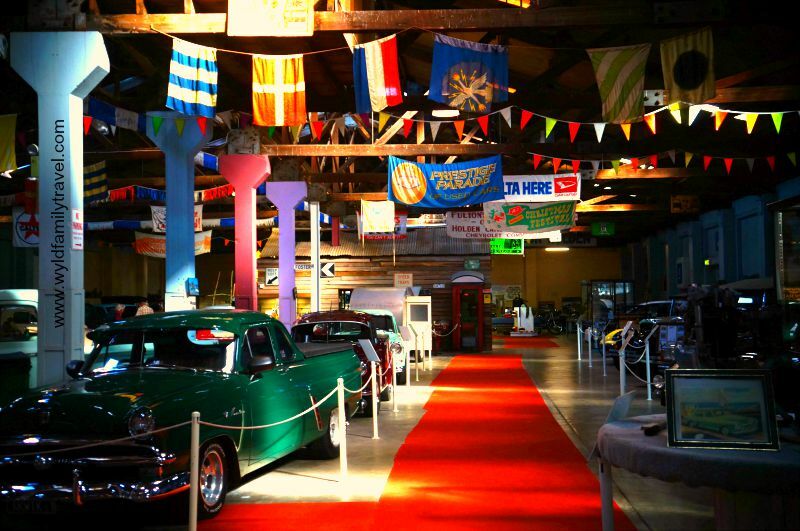 The Gippsland Vehicle Collection Motor Museum is in Maffra. On display is more than 160 special cars, motorbikes, machinery, historic vehicles and auto memorabilia for the car lover. The cars and machines that feature change every four months. This helps ensure the displays are on offer for new or for returning visitors. The Museum has speciality days and shows throughout the year. Car enthusiasts can bring their cars for display. The museum has barbeque facilities. On days that it is hosting events, you will find that catering is available. This is a volunteer-run museum that punches above its weight. The Den of Nargun is a sacred Koori site on the Bataluk Trail of sites in Gippsland. Legend has it The Nargun is a large female creature who lives in a cave behind a waterfall in the Mitchell River. The Den of Nargun is a place of great cultural significance to the Gunaikurnai people. Especially the women of the tribe. Stories of the Nargun have been told around campfires of how kids who wandered off from the tribe are taken by the Nargun. These stories helped keep people away from the sacred cave. The walk out of the Den Of Nargun is quite challenging. The walk features some steep sections that are strenuous. Coal Creek is a small recreated town on the outskirts of Korrumburra in South Gippsland. Black Coal was found and mined in the area during the late 1800’s and the 1950’s. Coal Creek Heritage Park trades on its past with original buildings and machinery on display for all to see. Coal Creek now has many themed days and is free to get in. Ride the bush tramway, dine in the cafe, take a picnic or simply enjoy the natural bush surrounds. Talk to the volunteers and harvest their knowledge on the local history of the area. They will amaze you with their craftsmanship and skills of yesterday years. 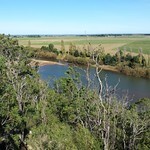 Licola lies on the banks beside the Macalister River, 254 kilometres east of Melbourne. The township of Licola is owned entirely by the Lions Clubs of Victoria and southern New South Wales. It is the only privately owned town in Victoria and the only one not on mains power. At last count, Licola had a population of 21 people. Licola is home to The Lions Village that caters for school group and such. The mighty Macalister River runs through Licola. The Macalister is popular for trout fishing in season. Visit Licola in Gippsland for its remoteness and beauty. Dargo High Country Gippsland Victoria. Dargo’s claim to fame is that it’s the most remote town in Victoria. Dargo is set in the foothills of the Dargo High Plains. The town of Dargo, with a population of approximately 150, is the gateway point for the Alpine National Park, Avon Wilderness Park, and Mitchell River National Park. The town is located 348 kilometres east of Melbourne. Dargo is an extremely popular high country town. Dargo is popular with four-wheel drivers, horse riders, and hunters. The Dargo pub is famous for its high country hospitality and country western concerts that are staged. The Knob Reserve is a 56-hectare park on the outskirts of Stratford. The Knob reserve is an important indigenous site in the Gippsland region. The Knob reserve forms part of the Bataluk Trail. The Bluff high above the Avon River at the knob was a meeting spot for local Koori Tribes. A place where they made weapons and tools for everyday use. There are BBQ and toilet facilities at the Knob reserve. The Silt jetties are located near Eagle Point they form the mouth of the Mitchel River. 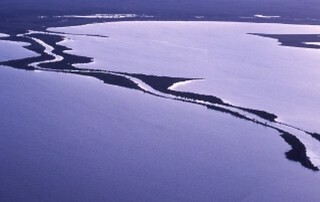 These naturally forming narrow banks of silt stretch for 7 kilometres into the Gippsland Lakes. These silt Jetties are the second longest in the world after the ones that form at the mouth of the Mississippi River. The formation happens over millions of years as the water slows when it enters a lake. Fishing is enjoyed along the silt jetties and one of the most popular things to do in Gippsland. Buchan Caves comprises of two limestone caves that are accessible to the public. The Buchan Caves reserve comprises of the Fairy Cave and the Royal Cave. The caves have a length of between 3 and 4 kilometres that the public can tour with guides from Parks Victoria. The reserve has camping facilities and bush walking tracks for hiking. Camping at the Buchan Caves National Park you will encounter many native animals such as Kangaroos and Possums. Family Travel Tip: If you visit in the summer there is an amazing swimming pool. The pool is filled by water running out of a cave just meters away from the pool. The 90 Mile Beach is ironic since in Australia we measure everything in Kilometres. The Truth is it’s actually 94 Miles long. It runs from Port Albert in South Gippsland to Lakes Entrance in East Gippsland. Agnes Falls are 59 meters in height which make them the highest single span falls in the state. The falls are a short walk through the forest from the car parking area. Picnic facilities are available for you on the banks of the Agnes River. The Gippsland Lakes cover an area of 345 square kilometres. The Avon, Thomson, Latrobe, Mitchell, Nicholson and Tambo rivers. fill the lakes, marshes, and lagoons. The Lakes run next to the ocean in Bass straight. The lakes are popular for boating, fishing, and camping. 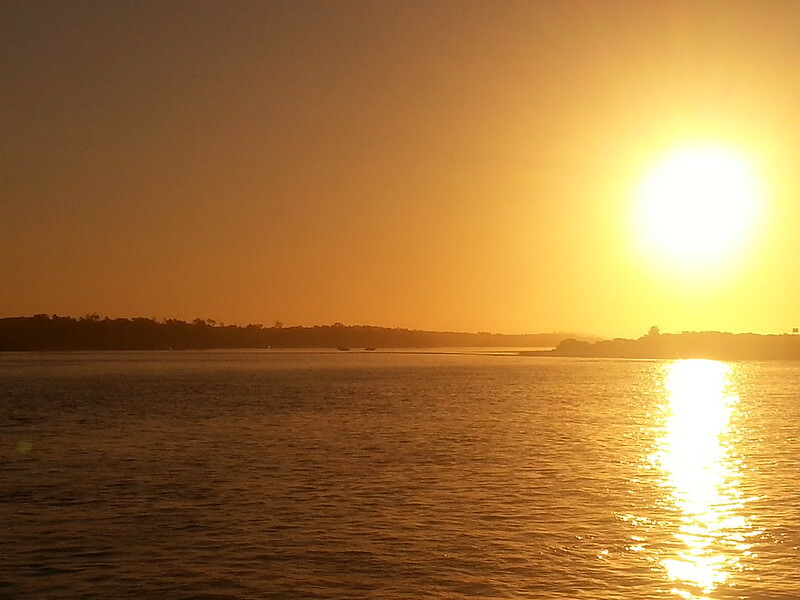 You can take a cruise on the Gippsland Lakes or go on a fishing charter. 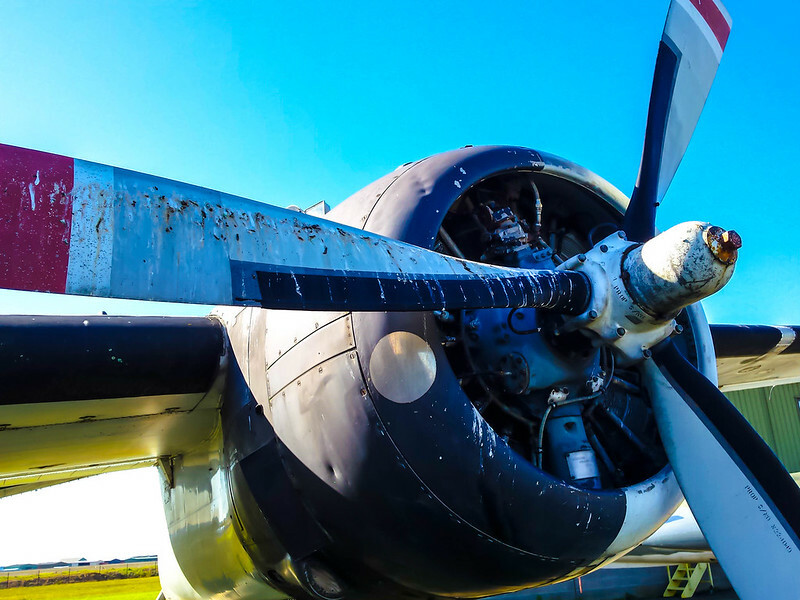 Gippsland Armed Forces Museum is a small, stand-alone, volunteer-run museum located at the T.A.F.E campus at Fulham right next to the West Sale Airport. The museum was set up to keep records of the people from Gippsland’s participation in Wars. On display, you will find full-size aircraft, motorbikes, cannons and many pieces of memorabilia stretching from WW1 through to present times. This museum is a real gem to visit with amazing history and displays for the whole family. Spend a few hours at The Gippsland Armed Forces Museum you won’t be sorry. Corrigan’s suspension bridge is located in Tarra Bulga National Park. 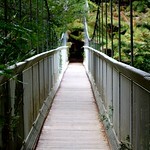 Corrigan’s Suspension bridge is a 1.25 km walk from the car park at Tarra Bulga Visitors centre. Corrigan’s suspension bridge floats through the rainforest canopy. The bridge gives you amazing views of the valley below and the lush vegetation that surrounds it. A Tarra Bulga day trip is great with many things to see in the area. Bbq facilities and bush walks are available throughout Tarra Bulga National Park. Visiting Gippsland would not be complete without seeing the amazing Corrigan’s bridge. Walkerville is an amazing place to camp. The campgrounds are right on the ocean. The beach features many rock pools that when the tide is right are excellent for exploring. One can find a myriad of different sea life in the rock pools. Fishing and bushwalking are popular in Walkerville with snapper taken off the beach. Close by Walkerville is the popular Cape Liptrap Light House. Old train tracks have been dug up and turned into biking paths in many areas of Gippsland. The Gippsland plains rail trail runs from Traralgon to Maffra. A total length of 63 kilometres. The rail trail passes through flat dairy farm country. This area is a UNESCO world biosphere reserve. 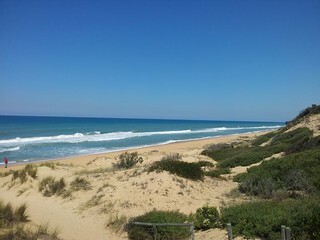 The Croajingolong features 100km of rugged and unspoilt coastline and covers 87,500 hectares. 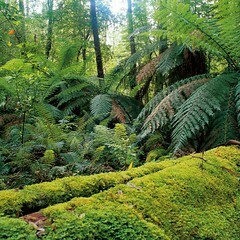 Thousand-year-old pristine eucalypt forest and rainforest combine to give you a glimpse of wilderness. The area includes indigenous and endangered species in their native environment. Embrace the nature of beauty in the Croajingolong and its hinterland. Off the path, camping spots encourage beach walks and bird watching. This national park is home to more than 300 different types of birds and over 1000 native plant species. This industry once a boutique industry in Gippsland has blossomed in the last few years. Vineyards and grapes are popping up all over the region. Gippsland’s wineries have garnished a huge reputation in recent years for producing premium, cool climate wines. We hope visiting Gippsland is something you put on your list of things to see in Australia. You will find destination Gippsland is a rewarding experience for the whole family with such diverse activities. The V-Line country train line runs as far as Bairnsdale in the east of Gippsland. The track stops at Pakenham, Drouin, Warrigul. Trafalgar, Yarragon, Moe, Morwell, Traralgon, Sale and Bairnsdale. From some of these stations buses will take you further into the country regions of Gippsland. Great article. I’d like to visit Australia some day, but I’m never quite sure on where to go there, mostly due to my lack of knowledge, I never knew quite where to go. Articles like these certainly help. Yes, I think Gippsland should be on my list of places to see! All of it looks interesting and beautiful, but I think the 90 mile beach would be one of the first places I’d go. I love beaches and the thought of seeing an empty beach is so intriguing! You had me at wineries! That’s more than enough reason for me to check out a new place. Looks like there is plenty more to keep me entertained though. I want to go! Sounds like heaven, all of it. Wonderful description and pics. The rainforest and colonial settlement would be my faves. Hey Kenny – I grew up in Gippsland and the Ninety Mile beach was my beach in the Lakes Entrance, and further East – depending on the time of year, you can enjoy the company of many on the beach as there are some great places to swim – Mark is just keeping you safe, as there are some areas that have serious RIPS in the water. The great part about less people is that you don’t have to worry that you will be crowded. Many a game of beach cricket, sand castle building and family fun was had on the Ninety Mike Beach-(just a note – AUSTRALIA wasn’t always a country that measured distance in Kilometres- we used to use Miles)- Great work Mark – we who grew up in Gippsland love it! Sounds like an amazing place to live with your family, Mark. When we visit I definitely want to visit Buchan Caves. I guess we will need to go in the summer as I going swimming there sounds like it would be an amazing time. Great post. We are going to Australia in 2 months. Ha! Such a timely information. Even though we will be based in Perth, I hope to find time and resources to see other places too. From you description, Gippsland looks so promising. 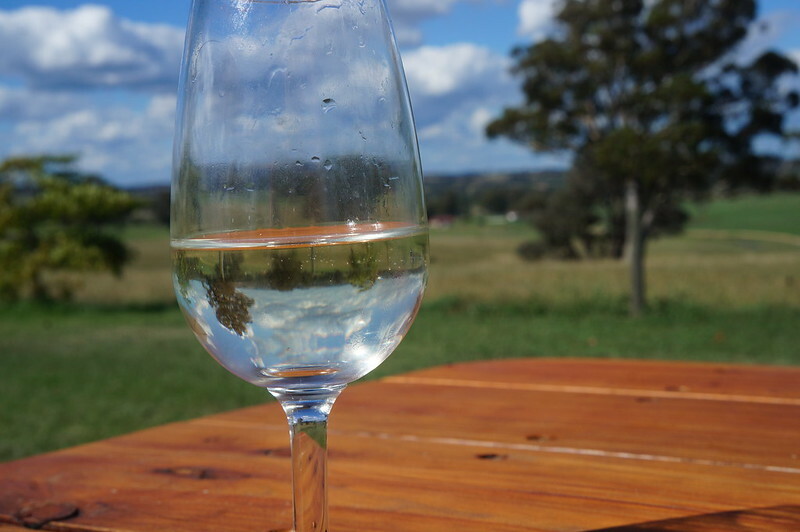 Wineries – yes! The beach – that’s what I am missing now staying in the middle of Caucasus mountains. Can’t miss suspension bridge too. A 94 mile beach? As you said the water is dangerous, i’d probably dip my feet in but love the idea of a long deserted beach! thanks for taking time to read about our part of the world. The inclusion of Walhalla is great but misleading to describe it as a”reconstructed ” town. 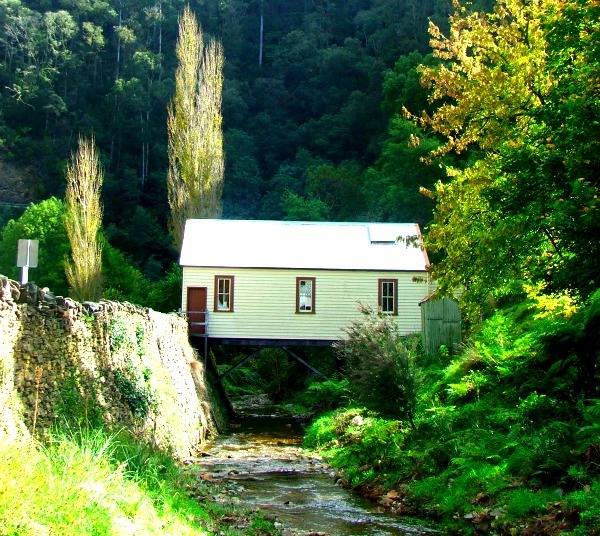 Walhalla is an authentic mountain gold mining town with many original historic buildings and features. Just a couple of the buildings have been rebuilt including the Star Hotel and the Mechanic Institute. Wonderful place to visit. I’d love to see the side of cultural tourism that isn’t factored in here as something to see and enjoy whilst visiting Gippsland. Throughout this huge region there are many many art galleries and a number of public art installations which offer visitors a culturally enhanced experience of a place and goes hand in hand with sightseeing and wine and food delights that our region offers. It’s time tourism bodies broadened their outlook to include the arts as an enriching tourism experience, wherever they promote.